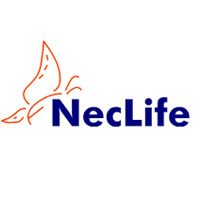 Neclife, USD 325 Mio, is a fast growing and research driven generic pharmaceutical organization, engaged in manufacturing and delivering high quality pharmaceutical products. Nectar Lifesciences Ltd. (www.neclife.com) is an integrated Cephalosporins (APIs & Finished Dosage). Neclife also has leadership in Pharma centric Natural Menthol, Empty Hard Gelatin Capsules, Generics Brands, In-vitro Diagnostics, Surgicals & many others niche areas in Lifesciences and is exporting to 65 countries. Our facilities have global regulatory accreditations like PMDA, USFDA, EUGMP, INFARMED, MFDS, MCC, ANVISA Brazil, COFEPRIS and several others. Neclife currently has filed 15 ANDAs in US and has also filed 527 Formulations dossiers in 75 countries with 282 product registrations.